Home Сompany Useful and interesting Unique Remedies for Treatment and Care of Seborrhoeal and Sensitive Skin! Ingredients for drugs of the line “Barbados” have been tested for many years and they are still used for creation of new remedies. Aloe vera, which is a part of drugs of “Barbados”, contains more than 200 biologically active substances; it is well-known for over 3 thousand of yearsdue to its curative properties. Dead Sea salts contain a great quantity of various substances, which play an important role in the support of the health of skin. Sea buckthorn extract gives the drug powerful antioxidant and regenerating features. And so on. Natural extracts are retrieved in a special way, which keeps all the useful features of biologically active substances. The practice ed, that even after a single application redness and irritation significantly decrease; but after prolonged one – the work of the sebaceous glands normalizes, great antibacterial and antipruritic effect appears, the skin looks like humidified, shining and renewed for a long time. 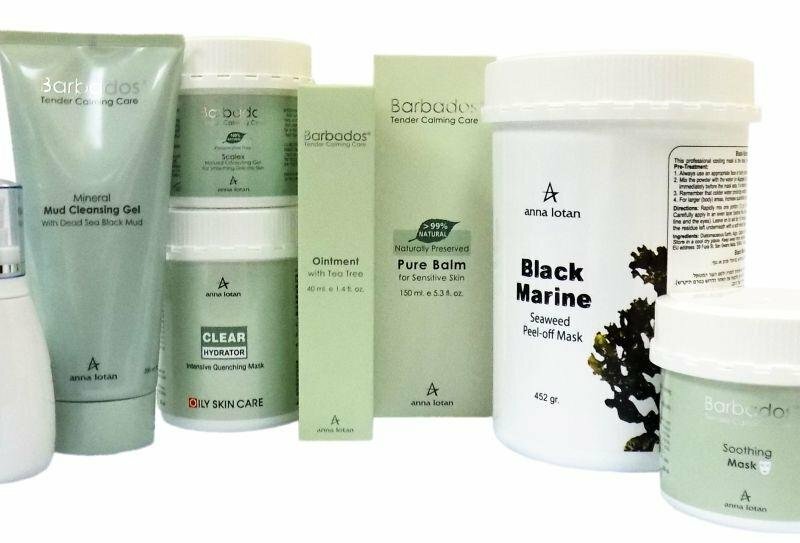 Magic series of “Barbados” cosmetics of Anna Lotan is extremely successful among cosmetologists all over the world. A tender touch – a stable effect!